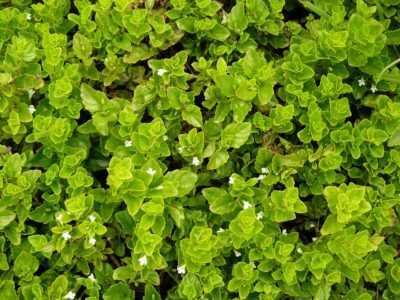 Periwinkle (Vinca major), also known as bigleaf periwinkle, greater periwinkle, or large periwinkle, is a spreading, perennial vine with blue-purple flowers, originally from southern Europe and northern Africa. The non-flowering stems of periwinkle grow along the ground, while the flowering stems stand upright. 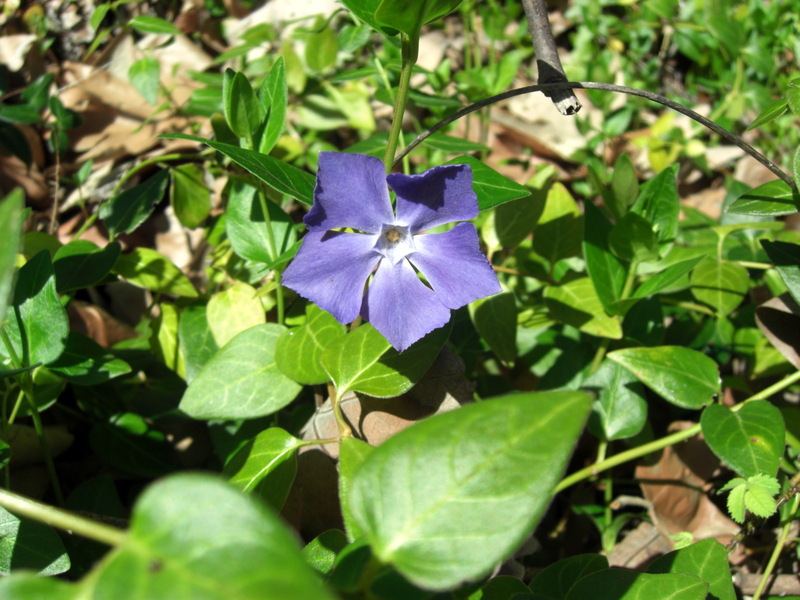 Periwinkle was first introduced to the US as an ornamental garden plant and as a medicinal herb. Two cultivars are common in the trade: Vinca major 'Variegata' and Vinca major 'Maculata'. 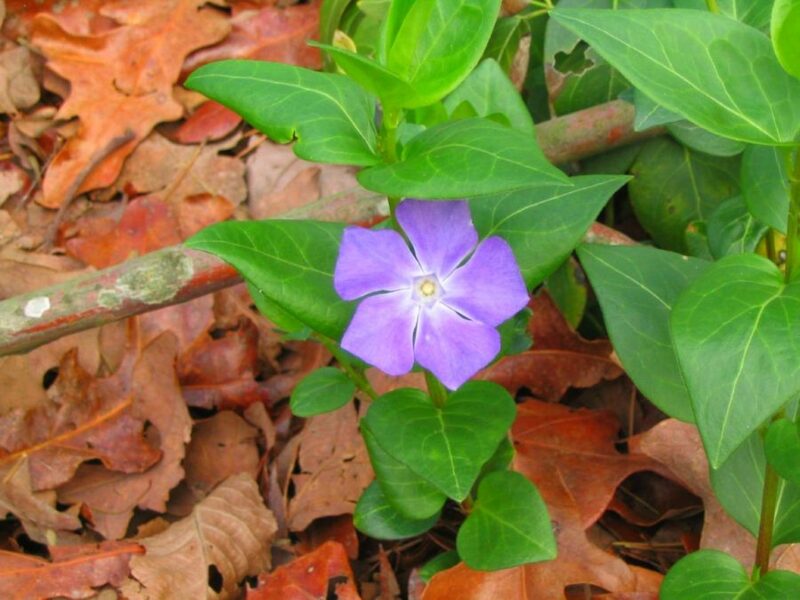 PlantRight asks survey volunteers to record and photograph occurrences of these plants during the Spring Nursery Survey, but does not count them as occurrences of Vinca major, as we do not consider these cultivars to be invasive. 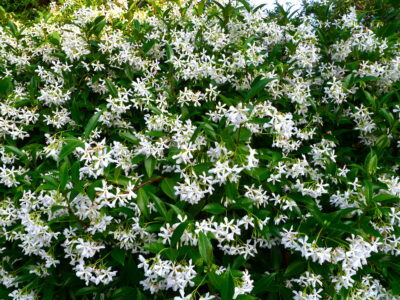 It is okay for PlantRight retail partners to sell these cultivars. 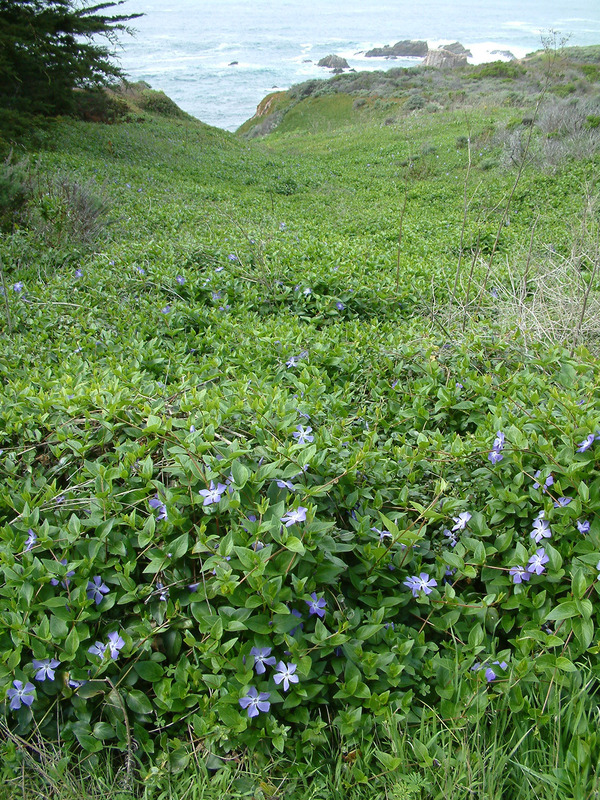 In California, periwinkle is not known to spread by seed. 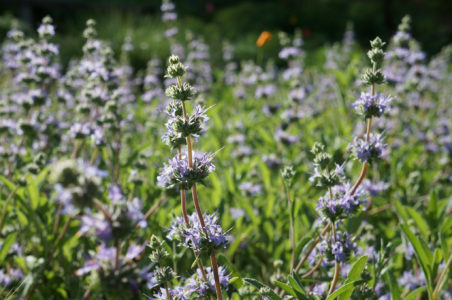 The plant spreads by way of its sprawling stems that form roots at the node. Because of this, a small piece of fragmented periwinkle is sufficient to start a new vine. Periwinkle flourishes in streamside riparian areas, where water often transports pieces of the plant, creating new populations downstream. 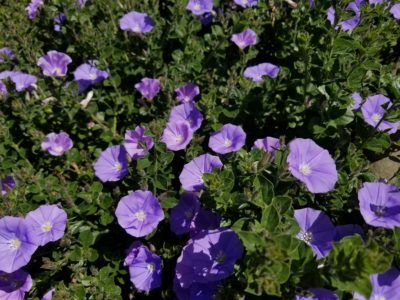 Because periwinkle grows rampant in many California backyards, new populations of this plant also commonly spread from locations where yard waste is dumped. Periwinkle grows most vigorously at low elevations (below 600 ft) and prefers damp, shady, and frost-free areas. 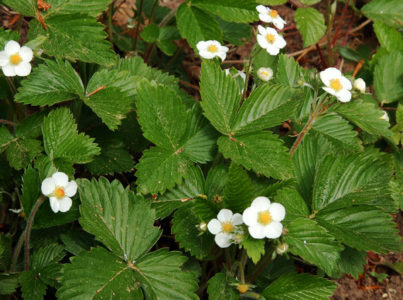 It is often seen in tree-covered drainages and creeks. 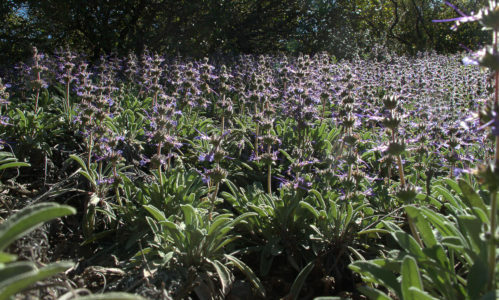 Park lands along the entire coast report it as an invasive pest. 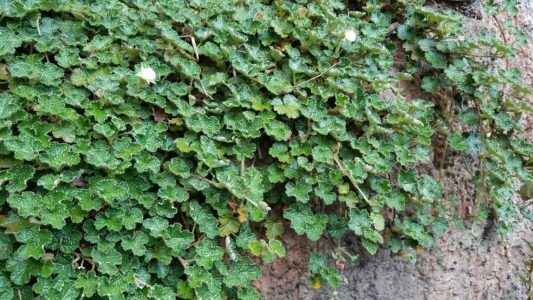 However, it has been reported growing and spreading at significantly higher elevations, sometimes up to 4000 feet above sea level. 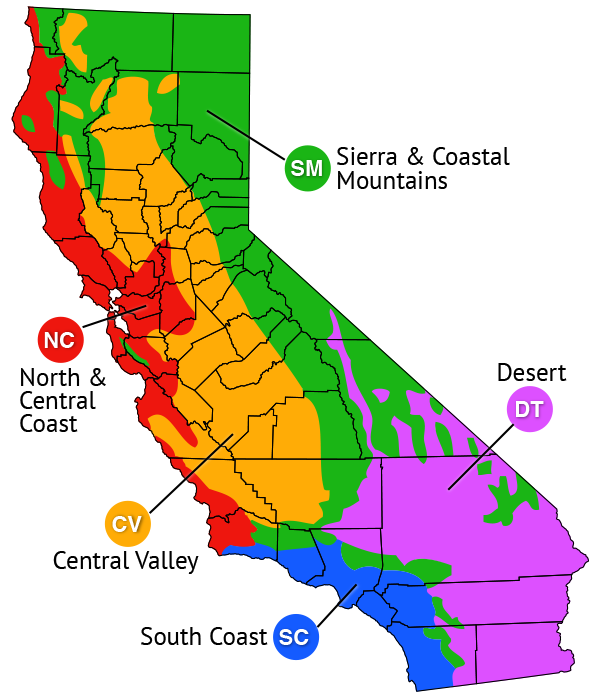 To view the latest spatial information on periwinkle's spread, we recommend you refer to CalWeedMapper, a collaboration led by the California Invasive Plant Council (Cal-IPC), working with Calflora, the Consortium of California Herbaria, the Bay Area Early Detection Network, and others. 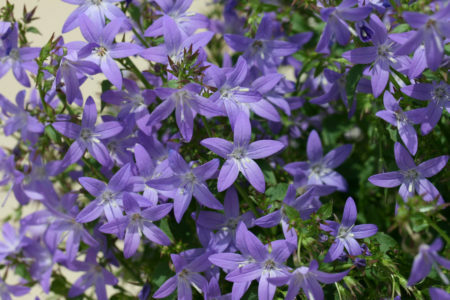 What problems does periwinkle cause? 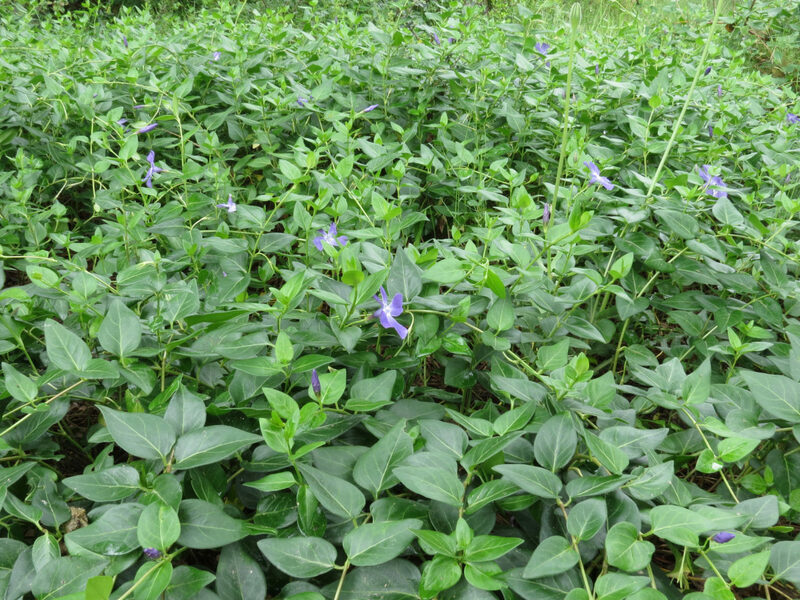 Periwinkle is a fast-growing, competitive plant that forms dense mats of growth. These mats crowd out other plants and degrade animal habitat in infested areas. Riparian areas are especially susceptible to periwinkle, where the far-flung vines crowd out native vegetation. 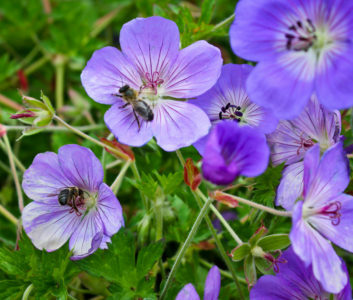 It is also a known host to the bacterium that causes Pierce's disease, which is a deadly disease to grapevines.